The origin of the name Pemberton has been traced as far back as 1189 when Adam de Pemberton is mentioned in the Close Rolls of London, during the reign of King Richard I, “the Lionheart” who was King of England from 1189 to 1199. The earliest Pemberton will in the Cheshire Record Office is William Pemberton, 1581, and the earliest in Lancashire is Alan de Pemberton, 1202. Pemberton, as a place name, can be traced to an area southwest of Wigan, Lancashire, England. It was recorded in the Pipe Rolls of that county in 1201 as “Penberton”. A decade later it is recorded as “Pemberton” in the Book of Fees. The Surname Database states that “…the place was called from the Olde English pre 7th century “pen”, meaning the summit of a hill, “bere”, meaning barley, and “tun”, a farm hence, “The barley farm on the hill”. Since Pemberton was very likely a place name before it became a surname for some families, there are probably several completely unrelated Pemberton lines all originating as families of various descent who worked the barley fields of Pemberton and eventually identified themselves as “John from Pemberton” and “William from Pemberton” etc. The Pemberton DNA Project, a part of the Pemberton Family World Wide’s initiatives, is working on the separation of these unrelated lines that now lie in transparent layers on top of one another in the landscape of time and place. This separation will be a significant help to those who are keen to properly identify their correct lineages. Pictured here is St. Marys Without the Walls, in Chester, Cheshire, England. There is also a St Marys inside the walls of Chester. Many Pemberton baptisms have taken place in these old churches. The place Pemberton is described in these words from the Topographical Dictionary of England, by Samuel Lewis, first published in 1848. PEMBERTON, a township, in the parish and union of Wigan, hundred of West Derby, S. division of Lancashire, 2¼ miles (W. S. W.) from Wigan; containing 4394 inhabitants. Adam de Pemberton, who held lands here, was living in the reign of Richard I. In the 34th of Edward I., another Adam de Pemberton brought an action of trespass against Thurstan de Northlegh and Matilda his wife, for cutting down his woods at Pemberton under pretext of taking estovers. Sir Robert de Holland obtained a licence to convey to the priory of Up-Holland a mill and sixty acres of land here, with their appurtenances. 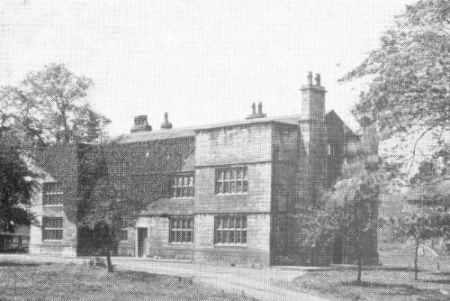 Pemberton is subject to the fee of Newton-in-Makerfield, of which the Legh family are lords; and the reputed manor is claimed by them in right of their ancestors. The township is bounded on the north-east by the river Douglas, and intersected by the road from Newton-in-Makerfield to Wigan, and by the Liverpool and Bury railway. It comprises 2500 acres, of which 1657 are arable, 807 pasture, 23 woodland, and 13 waste. The population is chiefly employed in agriculture, and in the coal-mines here, which are worked to a great extent: on the west side of the township is the manufacturing village of Lamberhead-Green. 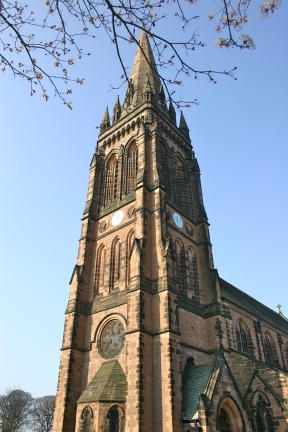 A district church, dedicated to St. John, was built in 1832, at a cost of £4766: the living is a perpetual curacy, in the patronage of the Rector of Wigan; net income, £150. The tithes have been commuted for £370. There is a place of worship for Wesleyans; and among the schools is one endowed with £8 per annum. In 1821 the population of the Pemberton township was estimated at 4,000. [Royal National and Commercial Directory and Topography of the county of Lancashire – Pigot & Co. 1828] The township comprises 2,868 acres or just less than 4.5 square miles. Anciently, Wigan was a Roman settlement probably known as Coccium. Read more about Pemberton here. “The name Pemberton, I am confident, comes from the old castle, at the mouth of the Rippam [sic] River, in Lancashire. That site has been spelled several ways. The village on the point, near the old castle ruin is now called Penwortham. The Saxons pronounced it Penverton, and “b” and “V” are equivalents. But “N” is awkward after [before] “b”, and I can list several places on the Welsh coast and northward, where the “N” became “m”, in long use. “Pen” of course means “cape” or headland. “Wortham”, pronounced “verton” is an old Saxon term for treasure so the cape meant simply “Treasure Point”, even before the castle was built. The Normans upon arrival, list the castle as “Peneverdant” and with other spellings. The Saxon had no meaning for them. The earliest records of the family are also in Lancashire, and a chapelry bears that name, but I believe the chapelry was named after the family, not vise versa. “PEMBERTON” a township and village in the parish of Wigan, two miles W.S.W. of that town, in which are several extensive coal mines, and Hawkley-Hall, which at one time was a residence of the Pemberton family and is a very ancient building. It is from this village that the Pemberton surname came into being. Pemberton is a village within the parish of Wigan which was first noted in 1201, and is considered to be British in origin. “The surname or bye-name de Pemberton or de Penberton, derived from the place-name, has first been found in the early 13th century” The first man identified in the first half of the 13th century was Adam de Pemberton who was a landowner at Pemberton. Ralph de Pemberton, who was deceased by 1236 held land at Pemberton. Other names which occur until the 1300’s were William, John, Hugh, Roger, and Henry Pemberton. William de Pemberton was the son of Adam who had sons, William, John and Hugh Pemberton. By the year 1350 the surname had become widespread and that the 16th and 17th centuries there were numerous Pemberton’s listed. “The name Pemberton appears in documents as early as the 12th century.The name Norley or Northlegh first appears in 1292. It is thought that Norley and Pemberton were part of the same manor originally but became split into separate manors and later joined together through inheritance through the heirs of Thurstan de Norley. The manor rights to Pemberton eventually passed to the Legh family of Lyme. A Legh terrier of 1466 mentions the existence of Norley Hall, Kit Green or Kytte Green, Lonemerehed or Lonemerehedgrene (Lamberhead Green), and Hawkley Hall. You can read more about Pemberton in Wigan on this (PFWW) website. Look in the Pemberton Society section in Pemberton Places. You can also read more about Pemberton origins and Hawkley Hall in the Victoria History here. There is more than one theory about the beginnings of the surname Pemberton in its various spellings (of which about 30 can be identified). Some of the most common ones are: Pembertonne, Pemerton, Penmerton, Pembarton, Pembarto, Premerton, Pimberton, Pimperton, Pimperton, and Penburton. It is thought that Pendleton is of a separate origin. One of the first records of the Pemberton spelling is Adam de Pemberton in the Close Rolls of London dated 1189, during the reign of King Richard, The Lionheart. As of this writing (October 2010) there are several Pemberton DNA samples available. These seem to have pretty close matches, indicating common ancestry at least by the mid-millennium (1500 AD), but there are also others which indicate a common ancestor a thousand years earlier. If Pemberton was first a place name and then a surname, as most researchers agree, then there is the question of how many families lived in that first Pemberton village and how were they related to one another, if at all. There could easily have been several families working the barley fields of Pemberton who had settled there for one reason or another. If one family came from Scotland, and another from Normandy, for example, then we will expect to find that Pemberton DNA samples will show a common ancestor a thousand years before Pemberton was founded. This eventuality will become clearer as more samples are added to the Pemberton DNA Project. Each of these “original” or early families in Pemberton will represent a major branch of the surname for indeed they may have been very distant cousins when they settled there. There is, of course, also a probability that some of those families (if there were several) were already close cousins when they arrived. These facts demonstrate clearly the value of DNA as a research guide and a revealer of ancient origins. Here are a few numbers that give a feel for the size of the family. There are 539 Pemberton Christenings between 1333 and 1837 in the data base of the Cheshire Parish Register Transcription Project http://www.csc.liv.ac.uk/~cprdb/. There are 3,325 Christenings/births between 1538 and 1837 in the data base at http://www.familysearch.org. In the Quaker records of Cheshire, England, there are 2 Pemberton events (starting in 1676), and there are 53 in all of Quaker England (starting in 1655), and 553 Pemberton events in the non-Parochial records (starting in 1655 also). In the 1990 U.S. Census, there were 2,744 surnames more common than Pemberton. The 2000 U. S. Census counted 10,842 Pembertons or about 0.005% of the population of that country. There were 3,064 surnames more common than Pemberton. Rank is the position in the list of names ordered by total (eg, a rank of 1 means that it’s the most common name, and a rank of 10 means it’s the tenth most common, etc). All of these are approximate figures, and the current figures especially so. The 1881 census figures are correct for what was recorded on the census, but we don’t really know how accurate it was. At least, though the 1881 figures won’t change, as it’s a snapshot of a point in time. The current figures, by contrast, are variable according to births, deaths, migration and marriages, so the values shown here are only a best approximation to whatever was the case when the underlying data was collated and will not be the same as whatever the values are right now. ‘N/A’ indicates that we don’t have data for this name in that country or time (usually because it’s quite uncommon there and our stats don’t go down that far). It doesn’t mean that there’s no-one there with that name at all! It’s possible for a surname to gain in rank and/or total while being less common per million people (or vice versa) as there are now more surnames in the UK as a result of immigration. In mathematical terms, the tail has got longer, with a far larger number of less common surnames. In April 2010, the Arts and Humanities Reasearch Council (AHRC) of the Unitied Kingdom, started the Family Names of the United Kingdom (FaNUK) project. The prinicple objective of the FaNUK in to create a publicly accessible online database in which the origin, meaning, and geographical distribution of of over 40,000 family names of the United kingdom are investigated and explained. More can be read about this project here: http://www1.uwe.ac.uk/cahe/ewd/research/researchcentresandgroups/fanuk.aspx.